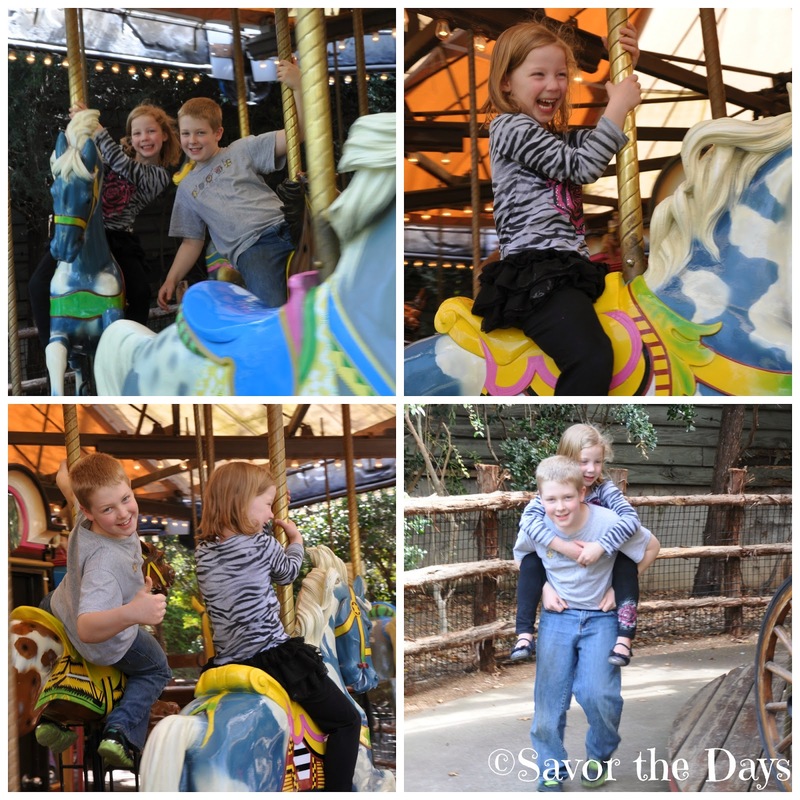 We love going to the Fort Worth Zoo for their Homeschool Day. There are always special educational talks like this one. The keepers talk about the animals as they carry them around so the kids can look at them up close and personal. I was proud that both of my kids were engaged and answering questions that the keepers asked the audience. It's hard to get my kids to both sit still long enough to pose for a picture but I did capture this one shot today by the waterfall. Today we discovered the Texas Hall of Wonders. I don't know how we have never been in here before! There were so many great interactive educational displays for kids to explore and learn from. We learned about how development and buildings have displaced animals and they have adapted by finding homes in unusual places...like under this house! There were several exhibits on conservation. And a cool fishing game with magnets! We watched as the ground hogs hopped in and out of their various tunnels in the ground. The kids talked about how cool it would be to have big underground tunnels that they could climb through. That WOULD be cool! We learned that the tunnels aren't just for fun though. Each "room" actually has a very specific purpose like the Listening Chamber, the Sleeping Chamber, the Toilet, and the Dry Chamber. I always like the Bayou section because everything there reminds me of South Louisiana, especially this gator! We discovered some cool upside down jelly fish. Yes, these creatures really exist. I had no idea! The kids love the Touch Tank where they got to touch starfish, rays, sea urchins, and more! Nicholas' favorite creature was the turtle! Ahh, home on the bayou. Learning by listening to a presentation on a shell! Nicholas was closest to a Turkey Vulture. Rachel had to pretend to help this Dung Beetle roll his ball of poop around! Oh that girl! Rachel BEGGED to ride the carousel and big brother agreed. He is such an amazing big brother! We took a train ride around the entire zoo and got a glimpse of all the animals. We knew we wouldn't have time to see each of them personally so this was the next best thing. Of course, its just plain fun to be on a train regardless of what you see! Once we were walking around again, Nicholas and Rachel heard some growling up ahead and went to explore it. 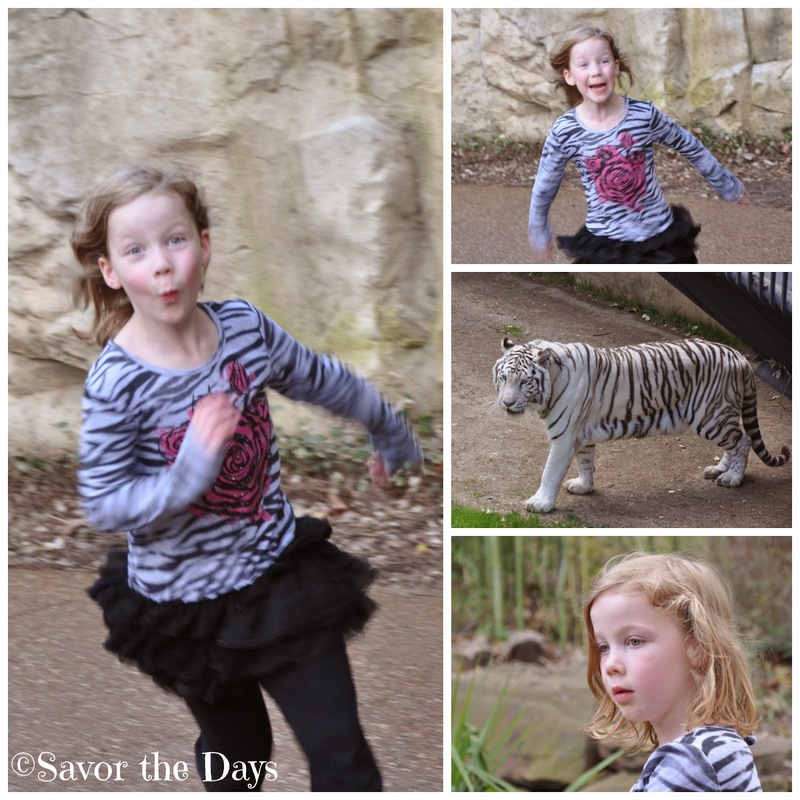 Rachel came charging back to get me to tell me all about the white tiger. She was so excited! The lazy lions were not nearly as exciting though. 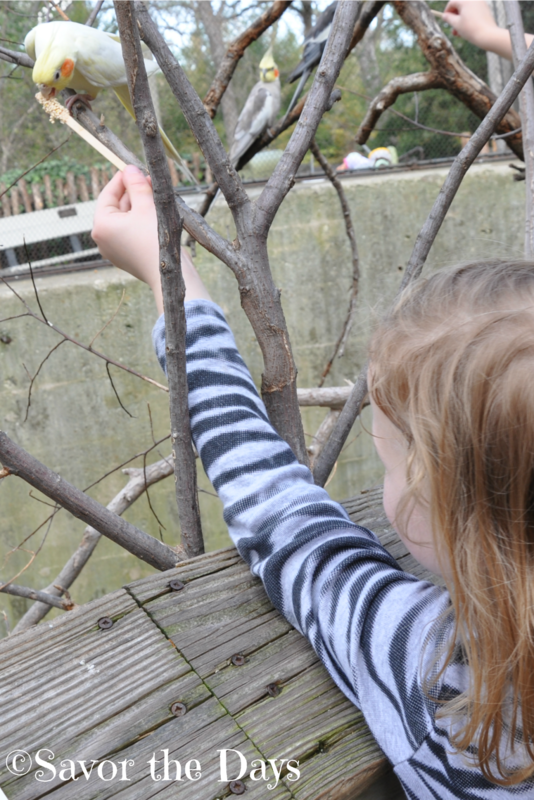 Of course, we can't go to the zoo and not visit the aviary where you can hand feed parakeets! Rachel had a harder time getting the birds to notice her because she was shorter than most of the people there but she still found plenty of birds to feed. The Fort Worth Zoo is located at 1989 Colonial Parkway in Fort Worth, Texas. It is open 365 days a year! Admission is adults $12, children 3-12 $9, and children 2 and under are free. For more information, please check out the Fort Worth Zoo website.